Many of my clients feel the pressure of being in the middle, squeezed between the big firms and the smaller firms – neither one thing nor the other. The big firms have so many more offices and resources and the small firms are usually cheaper. So how do you sell the benefits of being mid-size? The truth is that it probably is harder to see the benefits of being mid-size. But it is possible. Here’s how. First of all let’s consider the Achilles heel of the selling proposition of the big boys. In essence, the business model used by the magic circle firms is based on high leverage – lots of associates per partner. So, from the client perspective, the client might not get much attention from the partner. Furthermore, they’ve already got loads of other, possibly more important, clients to worry about. Also their fee scales tend to be higher, so you might not get best value, particularly for the relatively straightforward matters. So an important aspect of your selling message, when competing against bigger firms, is to reassure the prospective client that you are as competent as the big boys for the work required and possibly offer better value. How do you sell when competing against the smaller firms? Let’s consider the Achilles heel of their selling proposition. Firstly, they probably lack the breadth of specialisms that you have. For example, do they have a pensions specialist and might such a person be important? Also do they have the level of experience with precedents to match? Their fee scales might be cheaper, but can they work as efficiently as you do. This might all sound very manipulative and it shouldn’t be. It’s important to apply this thinking with integrity. Only apply these selling messages if they are genuine. The position is obviously more complicated than I’ve outlined here, but the basic principles of selling ‘midsize-ness’ are interesting to reflect on. There are definite benefits in holding the middle ground. 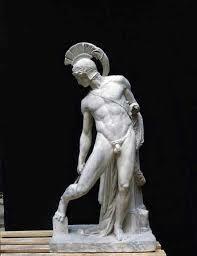 This entry was posted in Business Development and Selling, Strategy and tagged Achilles, midsize, selling propositions. Bookmark the permalink.